Lighting is the most essential factor which will make or break a photograph. The magical hour as it can be called is the golden hour of photography which is one hour from sunrise or one hour before sunset. Now to add more nuance to that timing, GoldenHour.one IOS app is launched. This peaceful hour with warm glow of light with long shadows adds texture and depth to the image. The type of light around this time produces less contrast, reducing the chance of loosing parts of the images in strong shadows or blown-out high-lights. 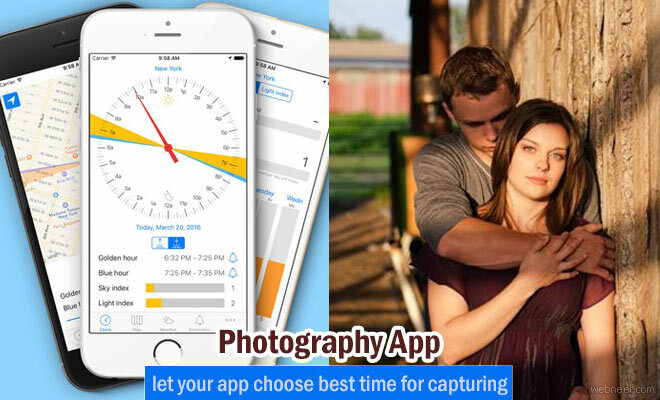 The interface of this app is very simple, it has clock which calculates the best time during the evening and daytime, gives you notifications few hours before the exact time, so you can prepare yourself for the best photography moment. GoldenHour.One app is used to find the civil,nautical and astronomical twilight, "golden" and "Blue" hours. With simple easy to use interface, it enables everyone to use it. It can be used offline without internet connection also. Notifications can be set up for sunrise, sunsets or the golden hours so one can be rest assured of clicking the photograph in best lights. Prediction of SkyIndex (will show you chance for dramatic sky) and LightIndex (Shows a chance for portraits landscape and architecture) from anywhere in the world is an incredible feature of this app. Soft light makes people look pretty, no squint, not shiny and absolutely perfect.